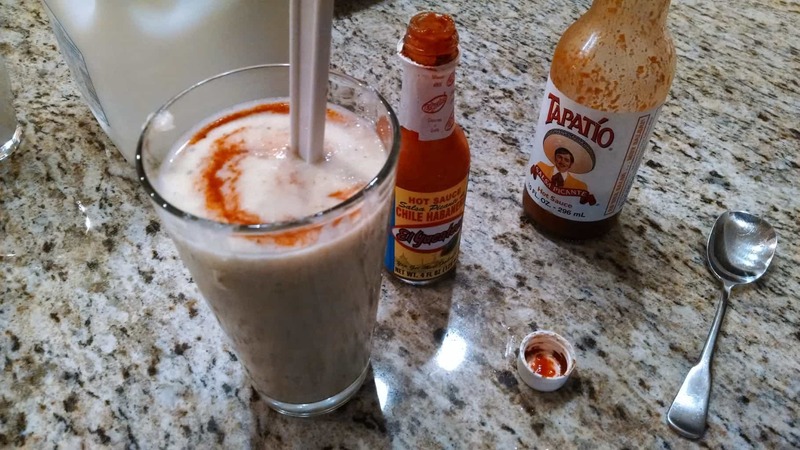 Hot sauce in the soylent was a horrible idea. 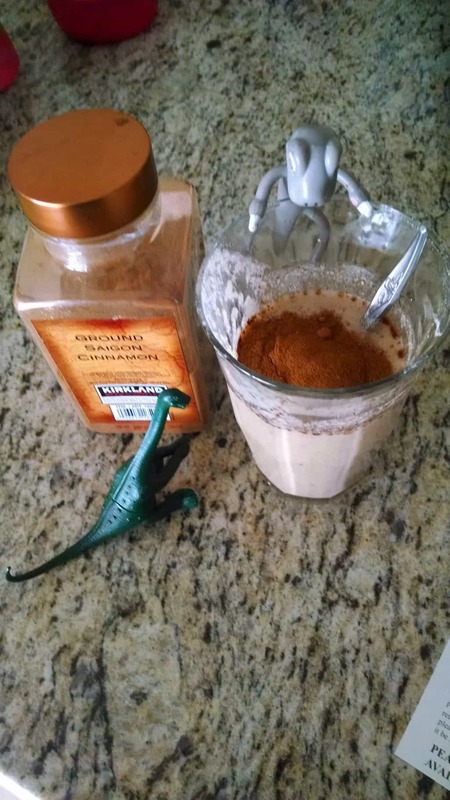 This week, the blog takes a slight diversion while I experiment with soylent, a liquid food substitute. At the end of each day, I’ll write a brief post telling you how it went. Below is my update for Wednesday. The Thursday Rant returns next week. #1: Still crazy neon yellow. #2: First thing in the morning and then another afternoon movement. Lust after real food? : No. I made Mrs. 1500 put all the delicious food out of sight. Does it still taste disgusting? : Yes, but getting better. Convinced Mrs. 1500 to try it? : Nope. Thanks Michelle for the cinnamon tip! By now, you know that my DIY soylent is gross. It has a sickly, sweet taste to it. It’s like the worst vanilla protein shake you ever had, but left behind the couch for a month or two. I can barely tolerate it. As a result, I’ve been experimenting with the recipe a bit. In a severe lapse of judgement (the magnitude of this lapse cannot be understated), I added hot sauce to the crap-coction. This was not a good idea. Just when you couldn’t think it would get any worse, it got worse. A lot worse. I was too lazy to make another batch, so I held my nose and choked it down. I did find some ways to make it a little better though. I get it super cold and also thin it out as much as possible. Drinking it is much better that eating with a spoon as I had been doing. Michelle, from Shop My Closet Project also suggested cinnamon which did wonders. My weight: I am eating 2000 calories a day, but my pounds are melting off. I am gifted with a fast metabolism, but I am still surprised by just how fast the weight is coming down. However, it’s only been 3 days and I expect that I would plateau at some point. General well being: After work yesterday and today, I went outside to do some carpentry on the house (hello porch swings). I felt full of energy, carrying and nailing boards for a couple hours. Perhaps this is an anomaly. I’ll be working out at the health club tomorrow. I’m curious to see how I’ll feel then. I hope the soylent experiment isn’t the end of our marriage. A dinosaur custody battle would surely be long and painful. My father-in-law always sabotages my mother-in-law’s diet. And she really should lose some weight. But he just comes to her every evening saying: “Do you want some cookies?”, or “Hey, here’s some cheese”, or “Have some chocolate bonbons”. She can’t resist. It’s not nice of him. If you really want to and need to lose some weight, then I would suggest that you talk to Mrs. 1500 about how she can support you. It might help you stick to it. Unfortunately when one plays with the spouse one plays for “I told you so.” points. I have about an 80% win rate on rock paper scissor for the record. Nice one. Yep, we are pretty much the same. I have this blog to keep me honest too. Ha yeah, I am the crazy guy over the cliff. The Mrs. and I are both stubborn. And holy cow, you should meet our older kid. Mule x 100! OK, I admit to snorting when I saw the title in my feed reader. The human body has an amazing ability to adapt to changes in environment and inputs. I bet you’ll continue to hate it less the longer you stick with it. Have you tried making it sweet? Maybe adding some stevia, vanilla extract, and nutmeg? Brilliant!! If bacon can’t fix the situation just go ahead and kill yourself now. Keep up the good work. You can’t let the Mrs. stand in the way of science! I’m with Mrs. Frugalwoods, try adding bacon. Bacon makes everything tastes better. Tawcan recently posted…How much is your entertainment costing you? This is perhaps the one thing that is even beyond the power of bacon. LOL at the Death Start and crock pot analogy – sorry Mr. 1500, but I’d probably do the same as the Mrs. Just because you’re cray enough to go through this, doesn’t mean she can’t make delicious meals for the fam. 🙂 Whatever is in the Soylent is also in my prenatals, because I observe the same pee conditions – twinsies!! j/k Good luck with the rest of the week! Nom Nom!! Are you doing this until Sunday? Hell no! 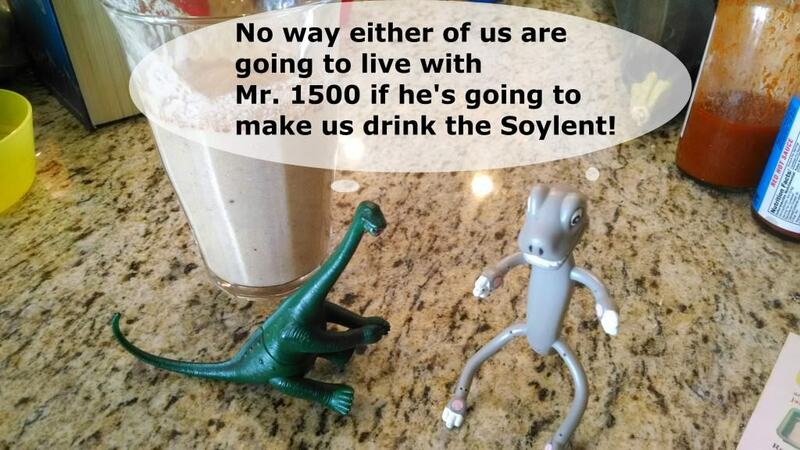 Soylent ends today!